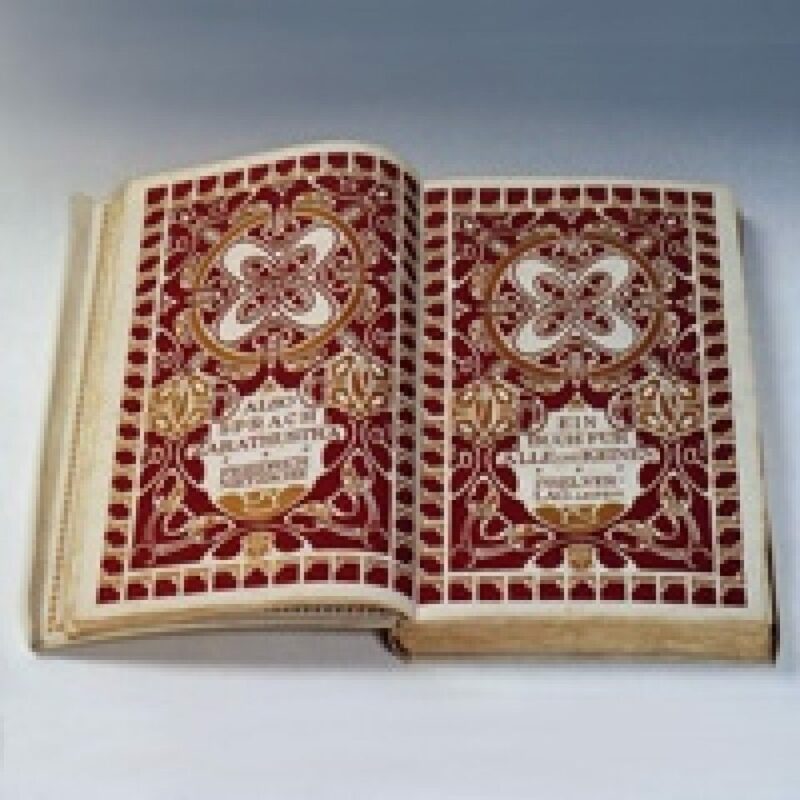 The exhibition is dedicated to Henry van de Velde’s book art (1863-1957). Henry van de Velde is primarily known as an architect, but in keeping with the spirit of the times he lived in he was also a versatile designer: he designed carpets, furniture, silver objects and ceramics. But he was also a gifted book designer. This is the first time Henry van de Velde’s book designs are compiled in an exhibition. Van de Velde considered books to be suppliers of a daily dose of culture, but also monuments for the mind. This is reflected in his designs, which seamlessly combine simplicity and monumentality. His designs span 50 years. In this time his work develops from “ornament” to “line”. From art nouveau to new objectivity. The exhibition not only showcases magnificent book covers and excellent typography, it also offers a glimpse into the genesis of the designs: sketches, trials and different versions of a same design are all on display.